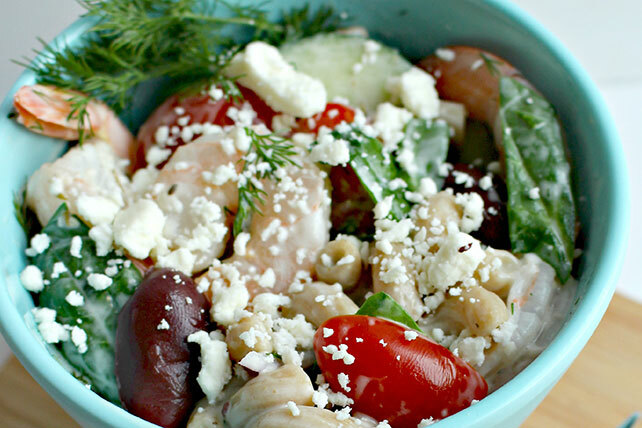 Cavatappi and shrimp are tossed with Mediterranean-style ingredients like feta, cherry tomatoes and cucumbers to make a pasta salad they won't soon forget! Combine remaining ingredients in large bowl. Add mayo mixture; mix lightly. Prepare using your favorite pasta shape. Prepare using pitted kalamata olives and grape tomatoes.